No, they weren’t dinosaurs. True, model sets of extinct animals often include saber-tooth cats, sail-backs (which were mammal-like reptiles and more closely related to us than to dinosaurs) and extinct marine reptiles as well as pterosaurs, but none of these are actually dinosaurs. Pterosaurs did, however, live alongside dinosaurs and are of great interest as the largest animals ever to fly on their own. 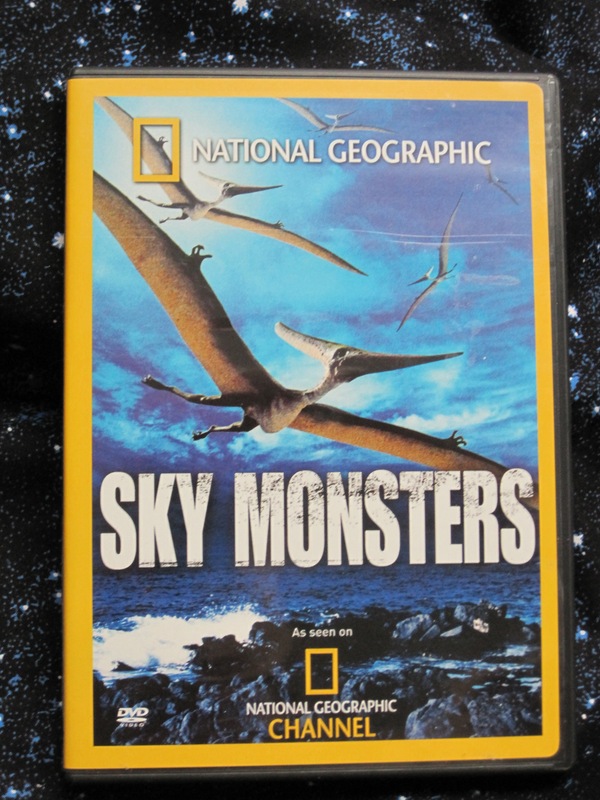 This DVD, another of the National Geographic series, looks at the mystery of pterosaur flight. As usual, the animation is not very exciting, but the scientific work and the attempt to build a mechanical pterosaur more than makes up for that. The big questions are, how large did pterosaurs grow and how did they fly? One of the threads of the program is the rather controversial discoveries of trackways and fossils suggesting even larger pterosaurs than Quetzalcoatlus, which itself had a wingspan of 10 meters (33 feet.) That’s three times larger than an albatross, the largest flying bird alive today. Forget the giants; how did even the ones we’re reasonably sure of fly? The meat of the DVD, as far as I was concerned, was an attempt to build a robotic pterosaur, controlled like a model airplane. The result was not wholly successful, but a great deal was demonstrated about pterosaurs in the process. Control was incredibly sophisticated, certainly more so than could be mimicked by a model airplane controller. Much of the maneuvering of a real pterosaur was probably as automatic as keeping your balance is to you – possibly more so, if the speculation that baby pterosaurs were born knowing how to fly is correct. Changing the shape of the wings and the tilt of the head would have been automatic for a real pterosaur. Not so for the model, and it is hardly surprising that it was not fully successful, even aside from the problems of finding components and power sources of sufficiently light weight. Pterosaurs, like birds, had very light bone structures. As entertainment this DVD falls short. But as documentation of a fascinating experiment, it is worth watching.